Opaque water colour paint, often used for quick sketches or illustration work because of its strong colour and quick drying time. Traditional gouache can be thinned with water and is re-wettable, so if it dries on the palette, simply spray it with water and it’s good to go again. 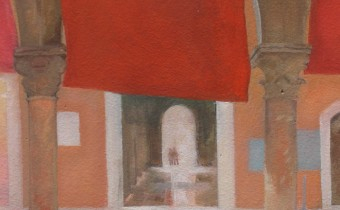 The velvety-matt appearance of gouache is a perfect complement to the light-filled transparency of watercolour. What is Gouache and Tempera? Gouache and Tempera are two painting mediums that are lesser known than oil, watercolour or acrylic, but are just as interesting to work with. Let’s start with a few important distinctions: Acrylic gouache and traditional gouache are not the same paint. 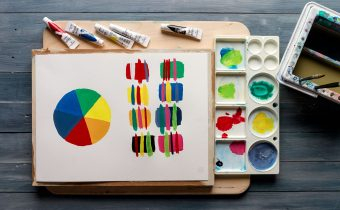 While traditional gouache is opaque watercolour paint and is rewettable, acrylic gouache is matt fluid acrylic paint, and once dry is waterproof. 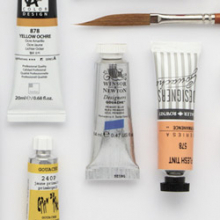 Traditional gouache can be used on its own, or combined with transparent watercolour. Chinese white is added to pigments in order to create the opacity. Traditional gum arabic gouache is best applied to watercolour paper with watercolour brushes - sable or synthetic. At Jackson’s we offer a great variety of gouaches by leading brands including Holbein, Winsor and Newton, Schmincke, Daler Rowney and Shin Han. 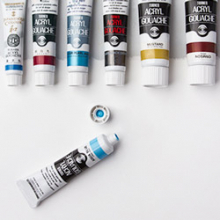 Leading paint makers Holbein, Lascaux, Turner and Acrylicos Vallejo make acrylic gouache. Fast-drying, non-rewettable and with a matt, velvet like finish, acrylic gouache can be applied to paper, wood, plastic and metal. It can be extended and altered using regular acrylic paint mediums, and thinned with water. Use the same natural and synthetic acrylic paint brushes you would use for regular acrylic paint. Because acrylic gouache is the perfect medium for creating flat layers of brilliant matt colour, it’s often found in the studios of designers and illustrators. Tempera is a name that refers to pigment suspended in a binder that mixes with water. 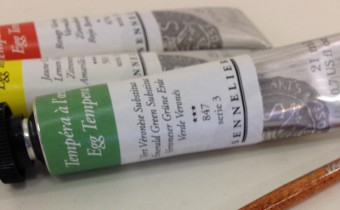 The best known is egg tempera, which is available at Jackson’s, manufactured by Sennelier. With a binder made of egg yolk, egg tempera is very fast drying. It is most commonly associated with religious frescoes and icon painting from the Byzantine and Renaissance periods. While it has excellent lightfastness (paintings are proven to last hundreds of years), it is relatively inflexible, and should only be applied to rigid surfaces to avoid cracking of the paint. Egg Tempera should not be confused with poster paint, which is sometimes known as ‘Tempera’ in the states. 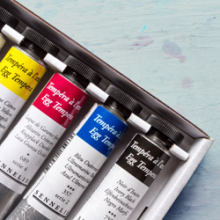 If you want to try painting with egg tempera, why not take a look at the starter tempera set by Sennelier. Egg yolk can be added to extend the colours, and they can be applied using fine watercolour brushes. They adhere best to wood panels that have been primed with authentic gesso, made with rabbit skin glue. 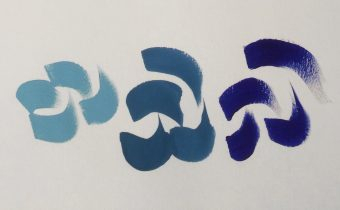 WHAT IS THERE TO LOVE ABOUT GOUACHE?